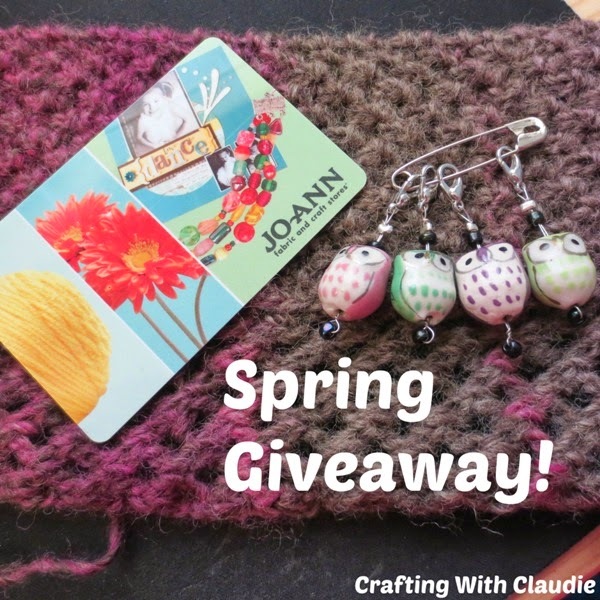 Crafting With Claudie: Spring Giveaway! I'm really excited to announce my first giveaway over on my Youtube channel! I'm giving away a $25 gift card to Joann's and 4 stitch markers that I made. If you're interested, all you need to do is go over to my Youtube channel, watch this video, and leave a comment on it. So if you're interested, head on over to my giveaway video. Can't wait to hear from you!